Two room apartment with a separate kitchen and a balcony located on the second floor of a tenement house on św. 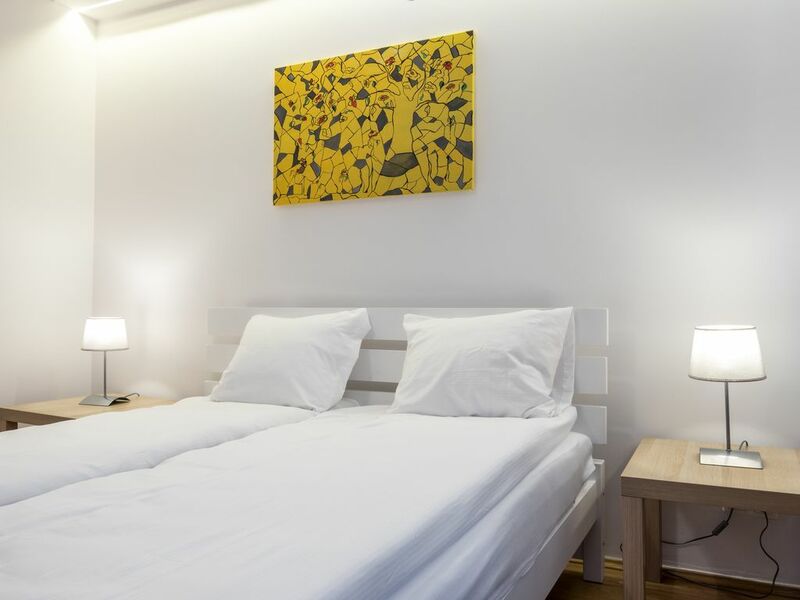 Tomasza street is a great choice for couples and families as well as for business travelers. This cosy end functional apartment has been designed for people who value modern design and excellent location. The Apartment consists of a hall with a wardrobe, a living room with a big, convertible sofa, a TV with wide range of channels and a dining table, a bedroom with a double bed, a TV and balcony, modern bathroom with a shower and separate kitchen. The kitchen is fully equipped with a dishwasher, electric kettle, fridge, coffee machine and a stovetop. Dishes and cutlery are also available as well as a hairdryer, a safe and an iron with an ironing board. Wi-Fi is available in the entire apartment! To ensure the maximum comfort of our Guests, we always provide fresh and clean linens and towels and aromatic coffee and tea. The Apartment is situated in the middle of the Historic Centre of Kraków – only 150 m away from the Main Market Square! A multitude of shops, restaurants, cafes and sights is located nearby. Art enthusiasts will enjoy the proximity of the Juliusz Słowacki Theatre and many branches of the National Museum. The Apartment is also very close to Galeria Krakowska, the mall that can satisfy the needs of even the most demanding shopper. The public transportation network in the surrounding area makes it easy to reach other parts of the city, as there are tram and bus stops nearby, and a taxi rank.